Whats your favourite op shop? Mine are the ones in Bega, NSW. I haven’t had a dud haul yet. We were in Bega recently visiting the in-laws and I was lucky enough to have some spare time to pop into a couple. 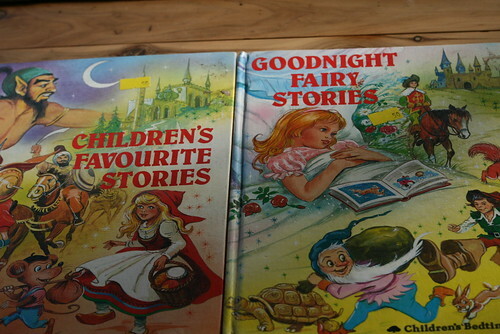 I ended up getting some great books. 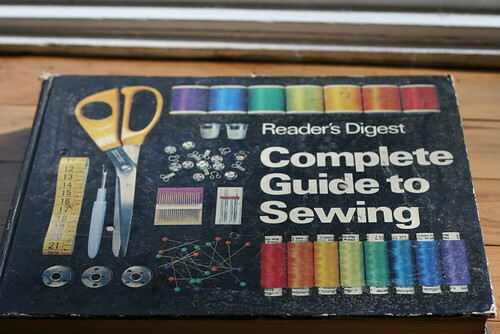 A 1977 Readers Digest Complete Guide to Sewing. I already have a general garment sewing book, but this is loads better, every page is full of diagrams of everything from sewing on a button, to more detailed sewing processes. Christy has the same copy and rates it highly. 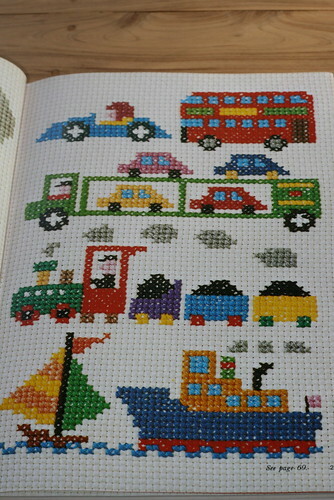 Cadel wants me to make the train cross stitch for him, and Hamish wants the truck. 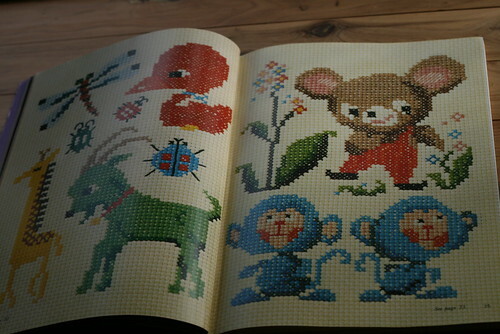 I wish one of them wanted the sweet bear/ mouse above though! 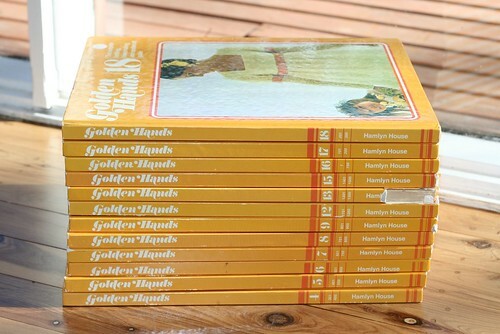 a huge stack of Golden Hands books, I now have nearly all of them up to 20. 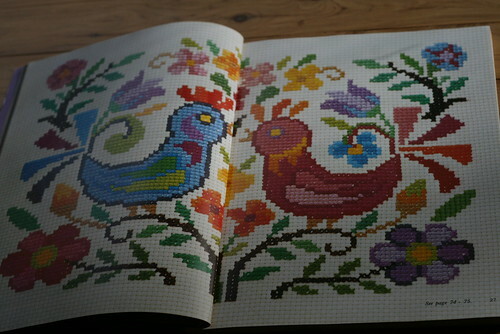 These book are fantastic for the amount of detail and variety of crafts that they include. You can see more images from these on my flickr stream. And a couple of smaller ones that made the long car trip home with them more bearable. Sydney peeps, I am looking for op shop recommendations because so far as I can tell my local ones are full of overpriced junk. What a great haul! I love it all especially the plates. Looks like they’ve never seen a dishwasher as the colours are so crisp. My sister still has Mr DooBee plate and bowl that was my nieces and they are still in brand new condition because they never had a dishwasher. She pulls them out for the boys whenever we go over. I have the same readers digest sewing guide and it is fabulous. 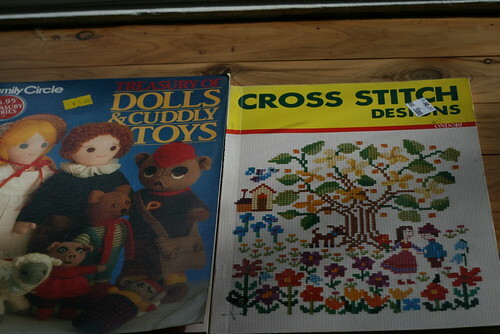 I call it my sewing bible. 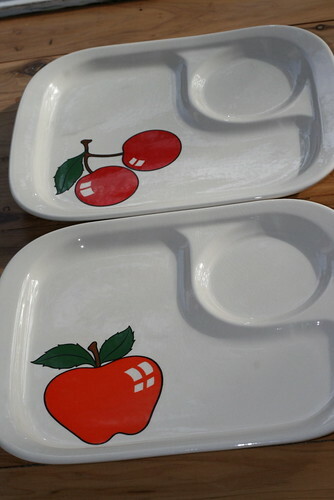 Those little plates are a great find too, they are simply adorable! Usually I don’t read post on blogs, however I wish to say that this write-up very forced me to try and do so! Your writing style has been amazed me. Thanks, very great post.